I have noticed a lot of fraudulent CPR and First-aid classes being offered in the Berkeley Oakland area and over the computer. Each week, we have students who come to take a retraining with us, since the certification card they received from their original training course was not accepted at their worksite. This is very frustrating since the students not only have to pay for the course twice, but they must also spend their time taking a course again. Taking a CPR class is fun, but taking a CPR training twice can be annoying. It is your personal responsibility to protect yourself, but I hope this guide will help you in your decision to find an official training course by the American Heart Association. There are even some online CPR training schools who offer a life time CPR certification card. Really? It does sound convenient to pay $199 for an online CPR certification card that will never expire. However, this is a scam. Please take an official American Heart Association or American Red Cross certification class and you will receive a card that is valid for two years. Download a free CPR Scam Poster to warn your coworkers about this latest internet scheme. Even though there are lots of organizations out there who issue fraudulent CPR cards, let’s get back to the basics of why you need a card. 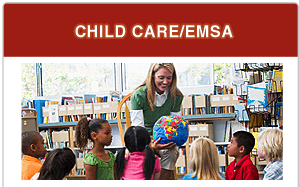 Many people need their certification card as part of their work requirement. But in your work environment, you may one day need to use these skills. This is why it is very important to take an official American Heart Association training course with lots of practice time. 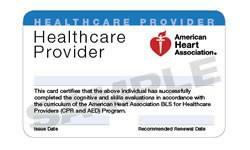 After taking both sessions, the student will receive the official AHA BLS certification card that is valid for two years. 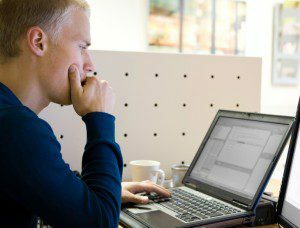 Learn more about Blended eLearning courses by the American Heart Association. You may have heard about the recent news about fraudulent CPR certification cards being handed out to medical and healthcare professionals in Santa Clara County. Allegedly, a CPR instructor handed out cards to medical professionals even though they did not complete the proper training. The CPR instructor was wrong, but the students who accepted a card without taking a course were also in the wrong. Students can cancel their class anytime. No penalty for canceling. Students do not pay for the course until the day of their training. Call us if you have any questions: 800-470-9026 and we hope to see you in one of our American Heart Association courses soon. We are a locally owned business in downtown Berkeley We are a member of the chamber of commerce and the Oakland BBB. Berkeley CPR Classes is an official TC with the AHA and the license number is CA-20784. Our license number with EMSA is 0204-DC. You can view our license here. Find out when you will receive your certification card. Many people need their CPR certification card for job requirements and need their card right away. When booking a class it is important to know when you will receive the card since some local companies mail out the card which can take 2-3 weeks for you to receive. We issue the official American Heart Association certification card on the day of the training. Be sure to read the fine print before you book a CPR or BLS training course in Berkeley. Many Alameda County CPR companies offer no refunds or a $50 cancellation fee if you cancel your class with less than 21 days notice. We offer a convenient way to cancel your class. After you register for a course, you will receive an email confirmation. If you want to cancel your class, click one button and you are immediately removed from the roster. We offer one click cancellation. You can cancel anytime with no penalty. A lot of Alameda County CPR companies ask you to pay immediately by credit card to reserve a seat in class. With their strict cancellation policies, you are locked in to take a class with them and pay cancellation or rescheduling fees. We are now in our 25th year of business. Now here is a video on how to save a life.